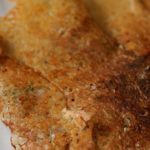 wheat dosa recipe | Instant Wheat Rava dosa recipe | Gothumai rava dosai recipe with step by step photos and video recipe. Very simple, comfort breakfast/dinner idea that can be made quick and easily. One of the healthy Instant Dosa/ Instant breakfast variety that is made with wheat flour/ atta and rava. rice flour is added for the crispiness. Wheat flour does not require fermentation and can be made instant within minutes. 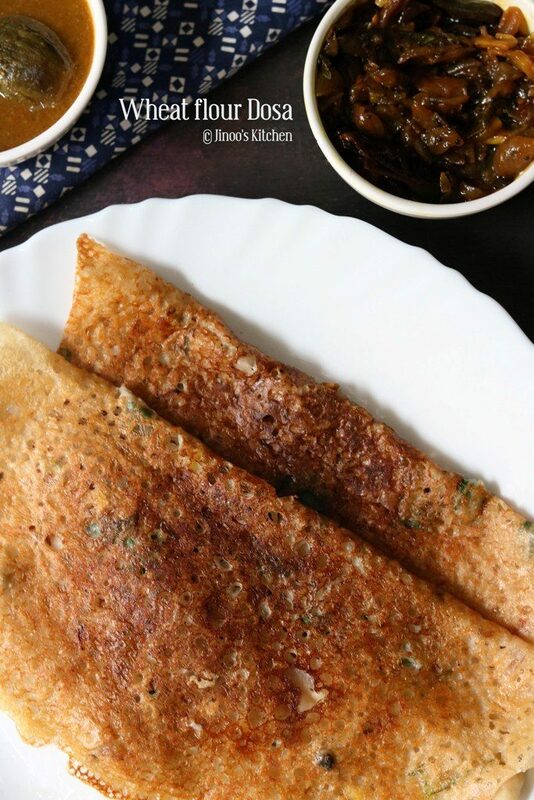 Wheat rava dosa can be had with tomato chutney, coconut chutney or my favorite combination red chilli chutney. 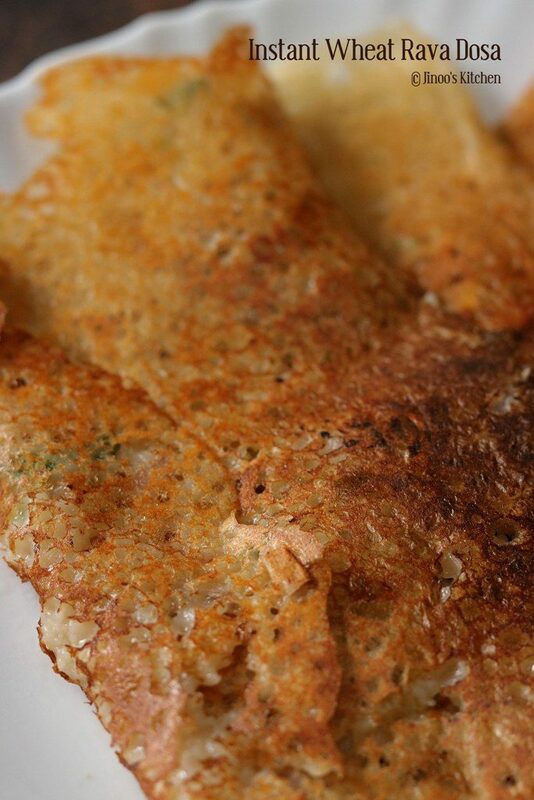 The normal method of making wheat dosa is just by mixing wheat flour with water. spread it like normal dosa. This is a variation to the normal one. Some recipes even include buttermilk in it in replacement to curd. While using the curd is optional. The consistency of batter has to be very very thin and pouring just like the rava dosa. In an mixing bowl, Mix wheat flour, rice flour, rava, curd and salt to taste. Add water little at a time and mix well to a lump free batter. Further add chopped onions, chopped green chilli, chopped ginger, curry leaves, peppercorns, cumin seeds and chopped coriander leaves. Mix well. add water if needed to make it very thin batter. Heat Dosa tawa and make dosa by pouring a ladleful of batter quickly. grease with oil all over. let it cook for a couple of minutes until brown. flip sides and cook the other side for half a minute. serve the dosa hot with chutney of your choice. 1.In a mixing bowl, mix together Wheat flour, Rice flour, Rava and curd as per the measurements. 2. Season it with salt to taste and start adding water little by little while mixing it. 3. Mix to a smooth lump free batter. 4. Further add chopped onions, chopped green chillies, chopped ginger, curry leaves, cumin seeds, peppercorns, chopped coriander leaves. mix well. 5. Thin down the batter with water if needed. The batter has to be flowy and running. 6. Take a ladleful of batter and pour over the hot tawa. grease the tawa and wipe out the oil from the tawa. Pour the batter quick and be easy while pouring the batter on tawa. 7. Fill out all the spaces with batter. Grease with oil all over. 8. Let it cook in medium heat until brown. flip over. 9. cook until both sides are done and serve it hot with chutney of your choice.